The original Chromecast was a streaming sensation thanks to ease of use and a low price point. The second generation, while generally well-received, still hasn't made its way to all of Google's various international markets. The next countries to get a chance to buy the Chromecast 2015 and its little brother the Chromecast Audio appear to be India and Taiwan. Both countries were recently added to Google's official hardware availability page. 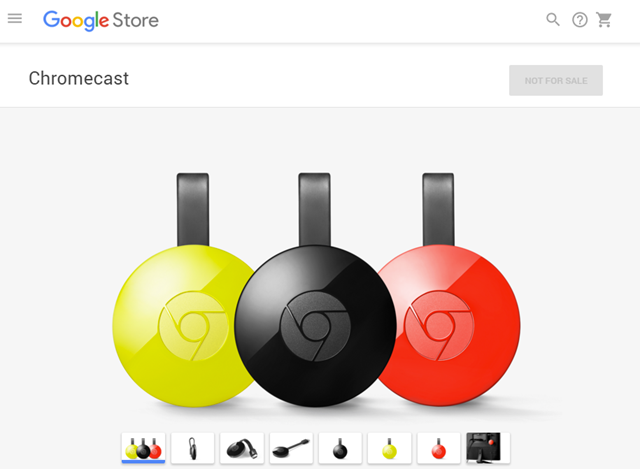 Unfortunately, the new Chromecasts aren't actually available to purchase on the Google Store in India or Taiwan - it's a rare discrepancy between the support page and the actual online store. That being said, a change to one usually means a change to the other, so it's more than likely that Google is planning to begin online sales in both countries soon. That generally means that retail sales, both at non-Google online stores and more conventional brick-and-mortar shops, aren't far behind. At the moment the Chromecast 2015 and Chromecast Audio are available in Australia, Austria, Belgium, Canada, Denmark, Finland, France, Germany, India, Ireland, Italy, Japan, the Netherlands, New Zealand, Norway, Portugal, South Korea, Spain, Sweden, Switzerland, Taiwan, the United Kingdom, and the United States. Expansion to new territories seems to be going rather slowly, especially for such inexpensive gadgets.